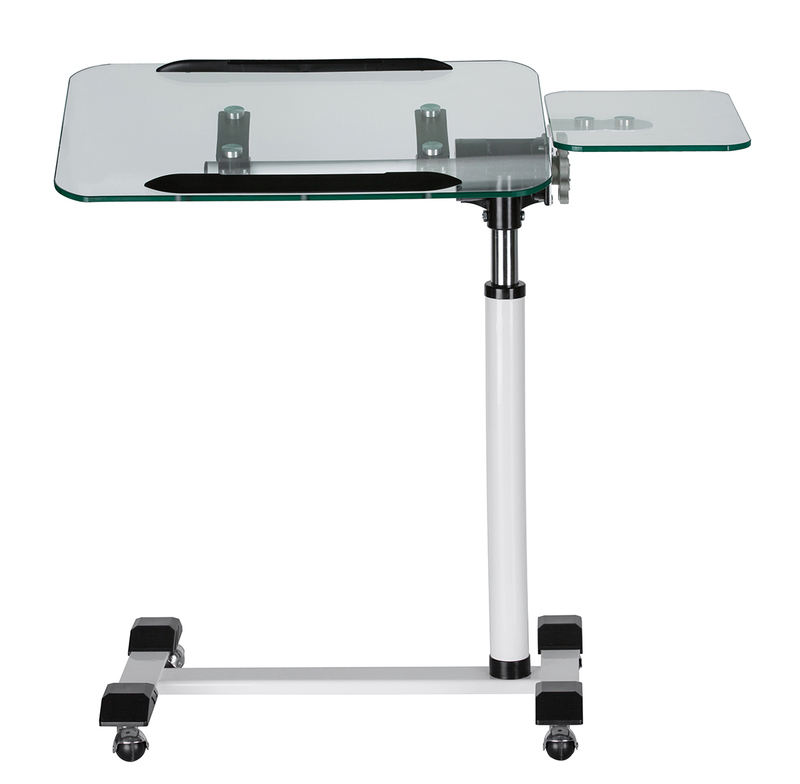 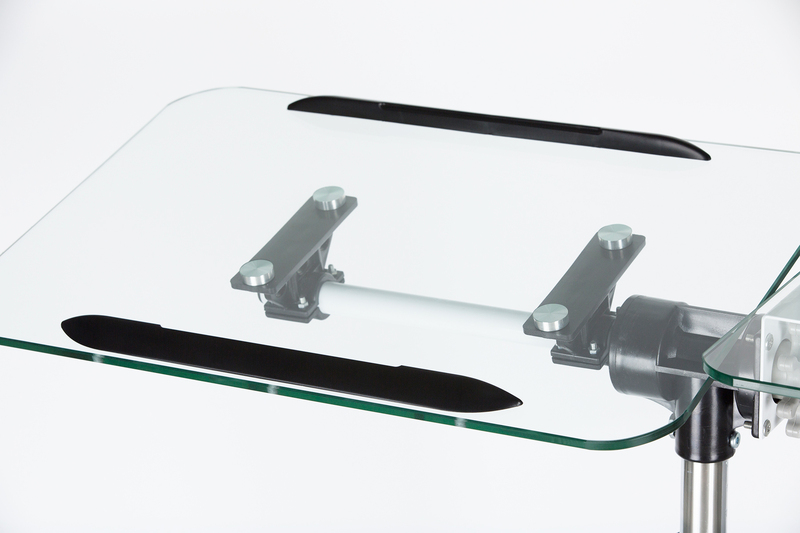 Nursing home adjustable toughened glass over bed table. 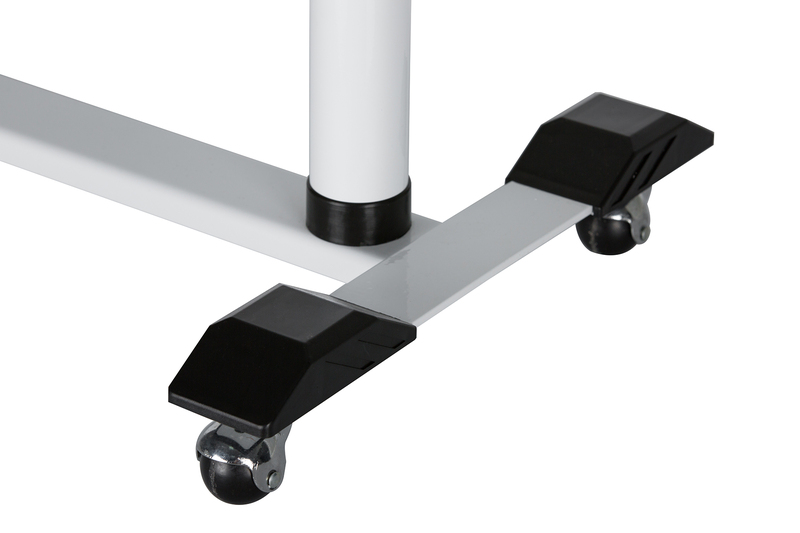 It can easily be moved around with four casters. 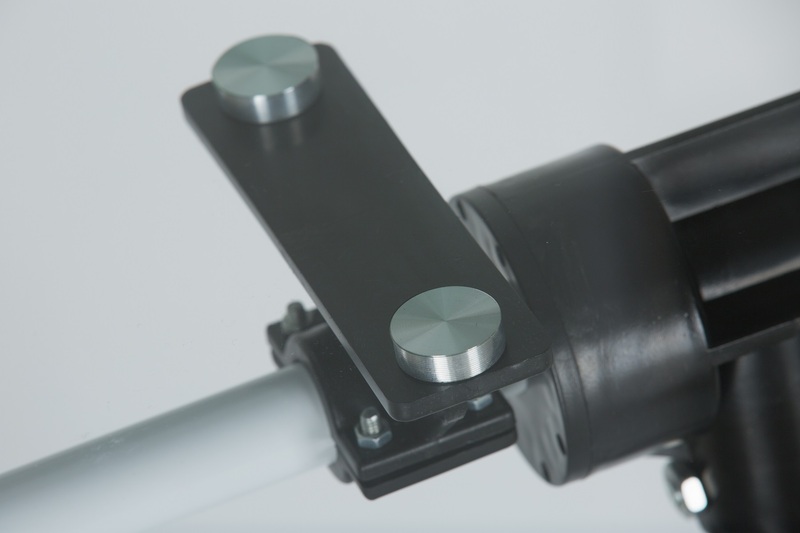 Item comes in flat packed and requires simple assembly. 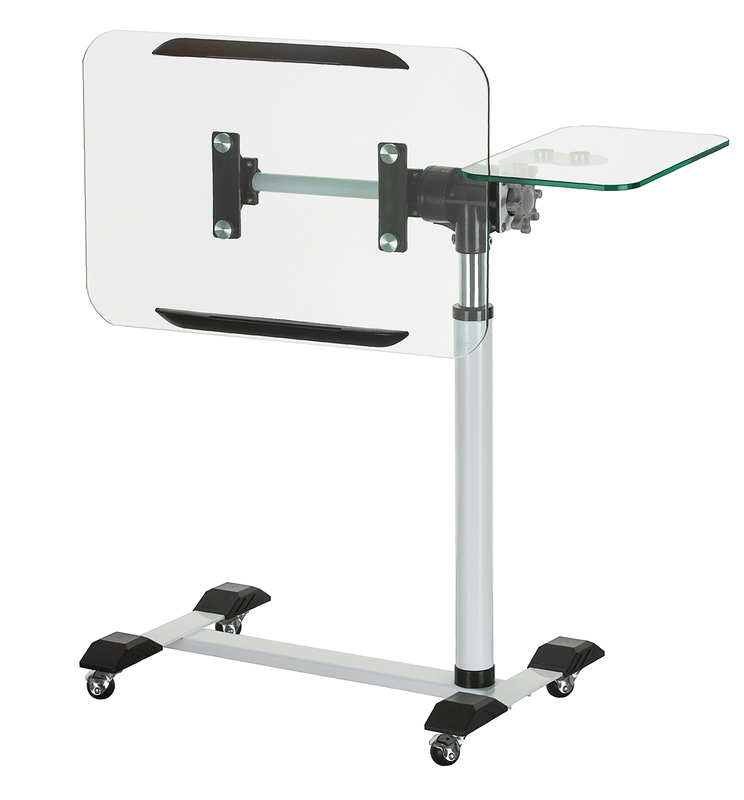 The metal frame ensures stability and safety. 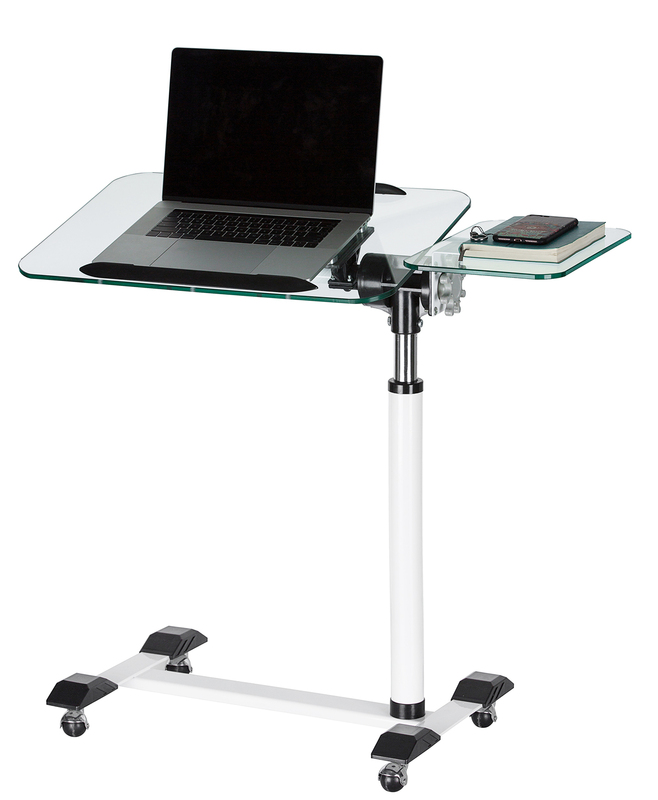 The height can easily be adjusted to meet different demand. 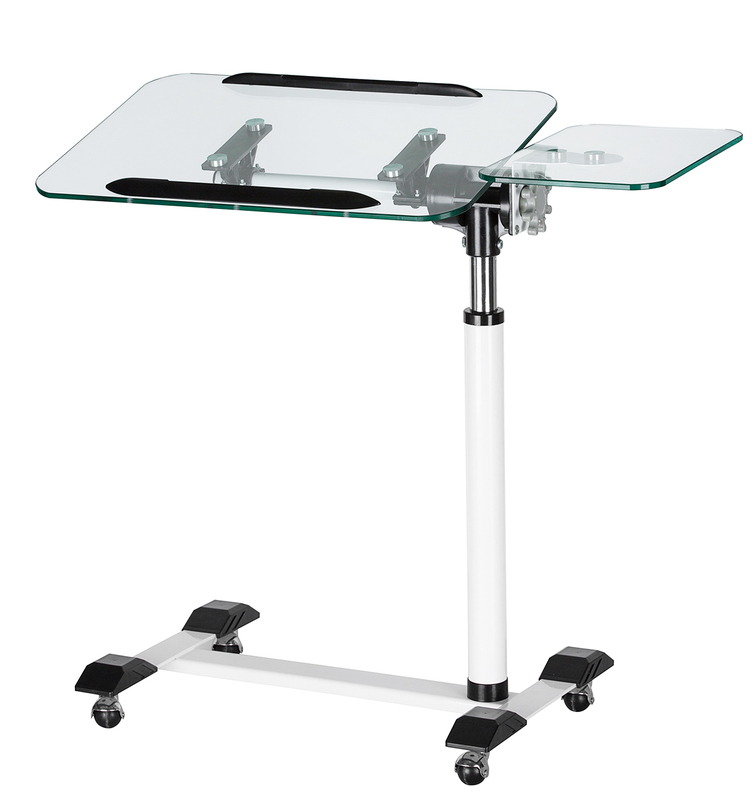 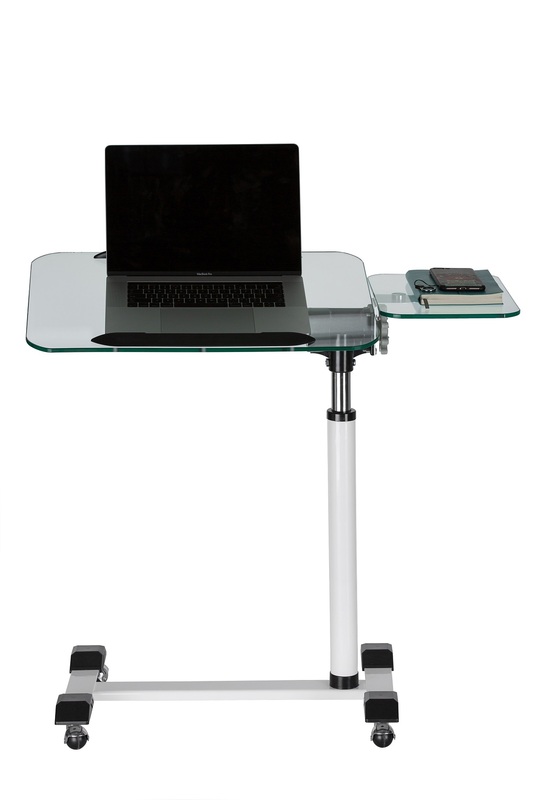 This table can be used as a laptop table for reading or writing when you are in bed or sofa. 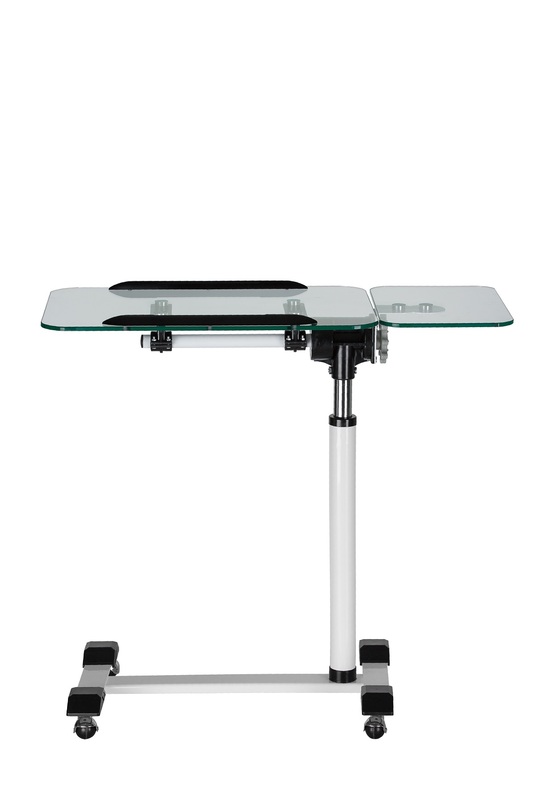 It is also widely used in many hospitals and nursing homes. 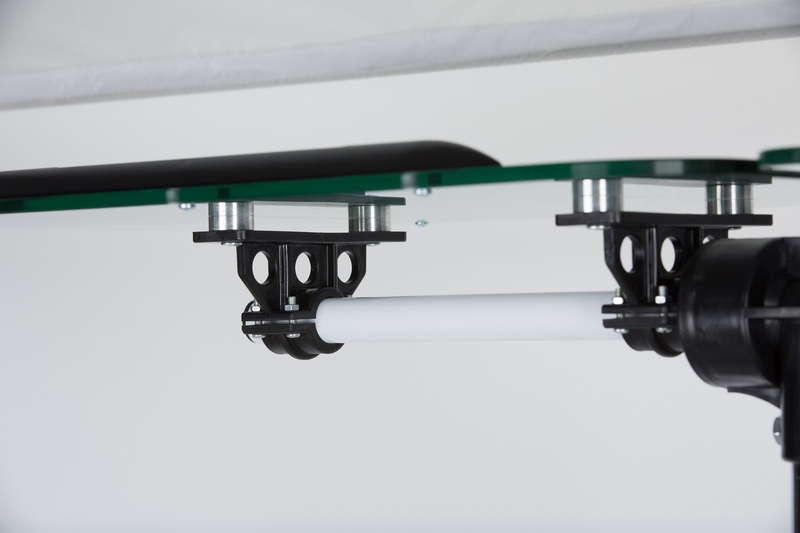 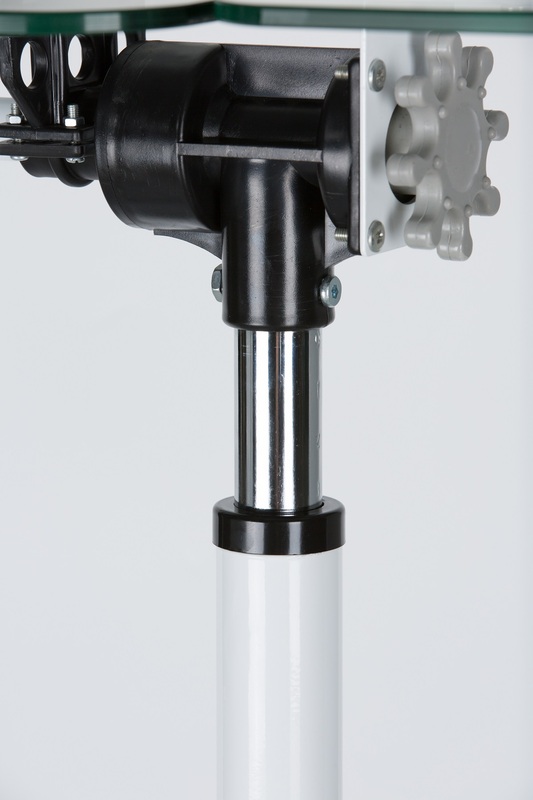 The adjustable height is 30cm, with 15 marks on the support bar in 2cm increments. 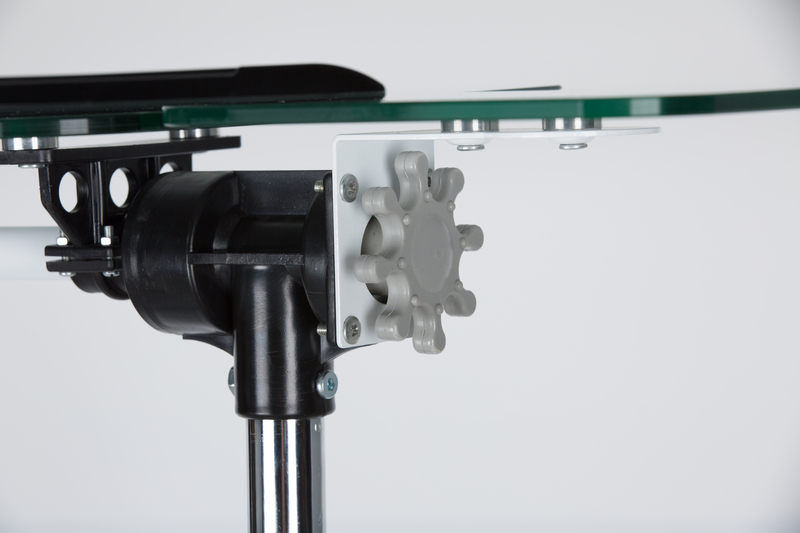 Just pull the tabletop up to the 15th mark, it will then go down immediately to the lowest height. 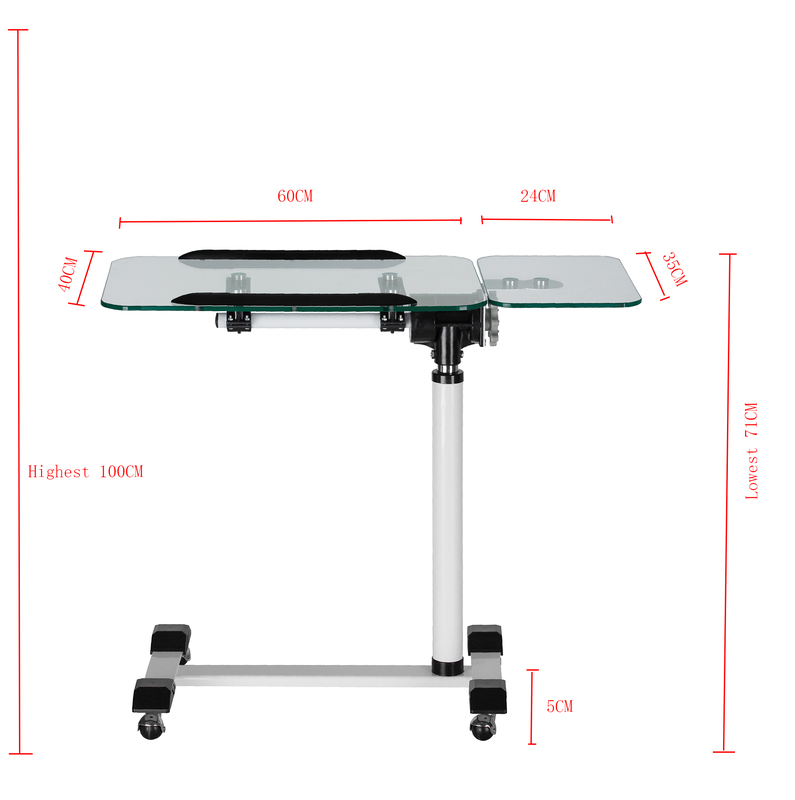 The lowest height of this table is 71cm.